Combative training of fighting with a stick, club or baseball bat. So many are happy to buy and keep baseball bats and clubs in their car and home, but never train with it! If you are prepared to carry it, you need to train with it. 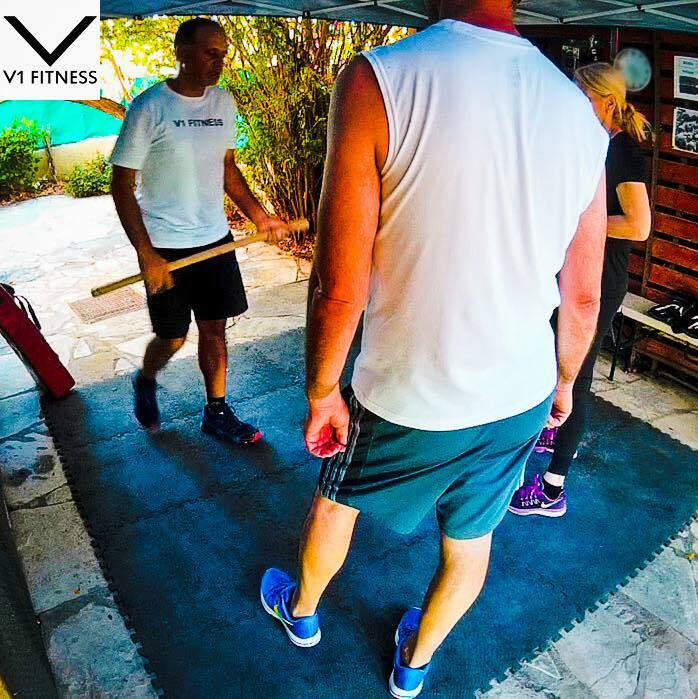 V1 FITNESS instructors are trained and certified in combative use of clubs. Book a lesson today, you'll be amazing at the new skills you can learn in just a few lessons.